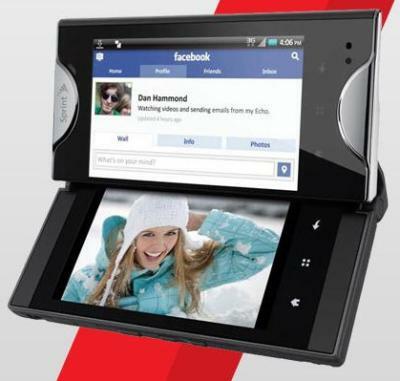 Kyocera have designed a dual screened smart phone called the Kyocera Echo. It is supposed to be launched US telecom operator Sprint on the 17th of April. The Android powered is the first of its kind as it has two displays, which is a big opportunity for developers. Kyocera has also opened up an Android developer program; it includes a Software Development Kit (SDK) and special tools to allow developers to use the Echo’s dual-screen to enhance the features and abilities of application. The program was shown at the CTIA. The response has been a bit dull since the phone has been announced, but hopefully will gain some perspective thanks to its customised applications. Developers can visit the Kyocera Android Development Page and write applications for the handset. The web site also shows 4 different modes for the Kyocera Echo. There is the Single-Screen Mode which functions like a single-display smart phone. The Simul-Task Mode allows 2 of the phone’s 7 apps to run at the same time, independently, on each of the device’s two screens. The Optimized Mode lets a single optimized app run on the dual-screens with compatible features designed specifically for each display. Finally, with the Tablet Mode, one app uses the entire 4.7 inch viewing area of the two screens put together. The web site also claims to provide the hand set to well established developers and they have already signed up with big names in the developing business.